Learning another language: Gym for the brain! I have been a teacher for most of my working life. My subject area is economics, and I worked in two schools in Australia and another five international schools in Kuwait, Sudan, China, Cambodia and Mozambique. I have always been able to pick up enough language to have a very basic conversation, do some shopping and order at a restaurant, but I never studied Arabic, Mandarin, Khmer or Portuguese. 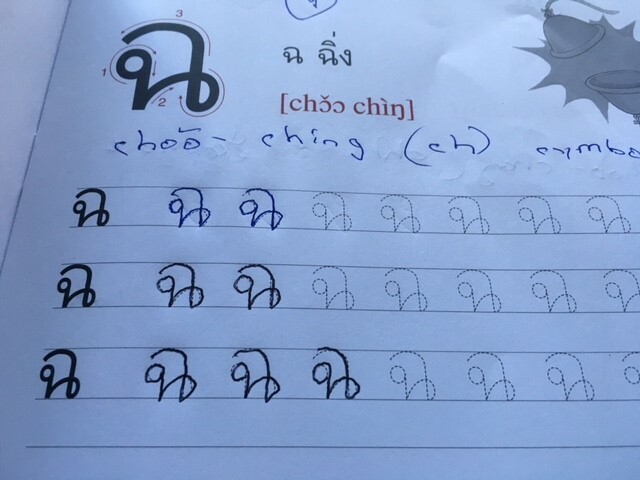 It wasn’t until I was settled in Thailand as a retiree that I attempted to learn another language and here are some observations of that journey. 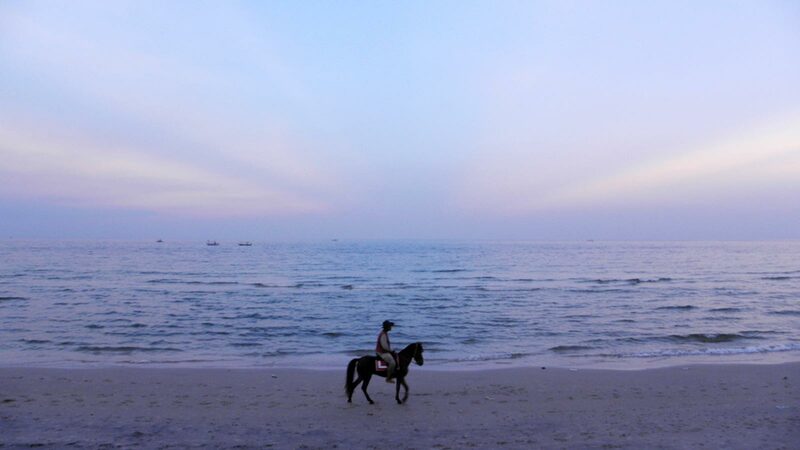 My wife and I enrolled in a local language school in the small city where we live, Hua Hin. We opted for two classes a week where we had private lessons, were given text books and had to complete regular tests. I would come out of a 90-minute class totally exhausted and would need some down time afterwards. Now my brain felt exhausted, in a similar way to when I have left a gym where my muscles were exhausted. This was a totally different experience than attending a lecture at university and taking notes and walking out feeling fine. These lessons took me completely out of my comfort zone and when I initially started I thought I would never improve but this was not the case. As I did further classes my vocabulary increased and I was using my new-found Thai in various situations. Spoken Thai has five tones and when I first started I could hear little difference but over time, as I consciously listened for the tones as Thai people spoke, they became much more apparent. I am nowhere near fluent in Thai, but I feel comfortable speaking Thai even if I do order three bottles of wine instead of three glasses, at a restaurant! 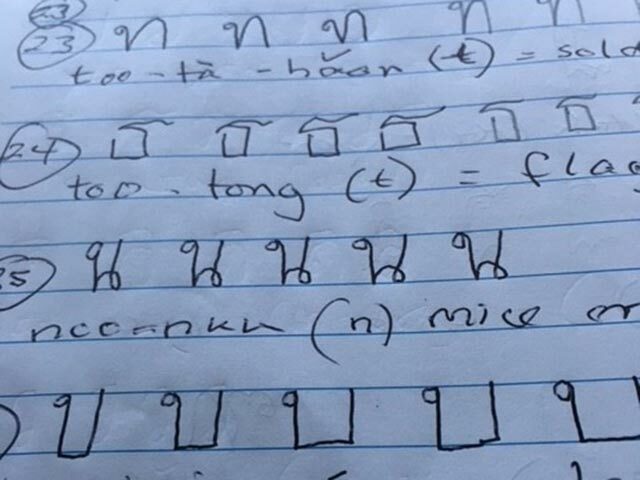 Learning to write Thai brought back memories of my early education and learning to write the letters of the alphabet and practicing those letters. 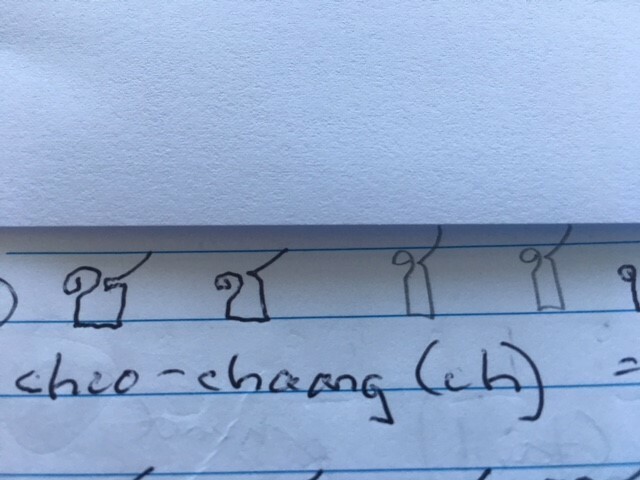 My writing in English has never been the neatest, but in Thai it was much better, which surprised me as it requires very fine motor skills. 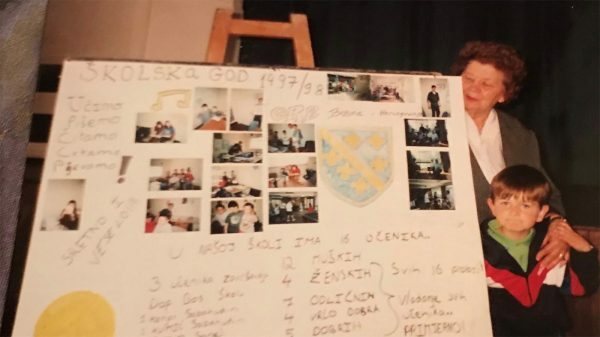 I didn’t make the connection between my exercise in the gym and my brain exercise in learning another language until my wife attended workshops with Dr Dina Mehmedbegovic in Hong Kong. The more I read about ‘Our Healthy Linguistic Diet’, http://healthylinguisticdiet.com, the concept and analogy made total sense. For years I have used the term ‘incidental exercise’ where I would climb stairs instead of taking the elevator or lift the bags of groceries as though they were free weights, giving my body daily exercise outside the gym. I now use the same term when I practice my Thai language skills at every opportunity. Stopped at the traffic lights, I try to read the Thai letters on the license plate of the car in front of me, or pick out the words I can read on a billboard. The sense of achievement has been enormous as I thought I would never be able to accomplish what I have in learning Thai. Now, I not only exercise my body at the gym but also my brain at my Thai school! Mick Green grew up and was educated in Melbourne, Australia. He studied economics and politics at university and after briefly working in government and banking entered the teaching profession. 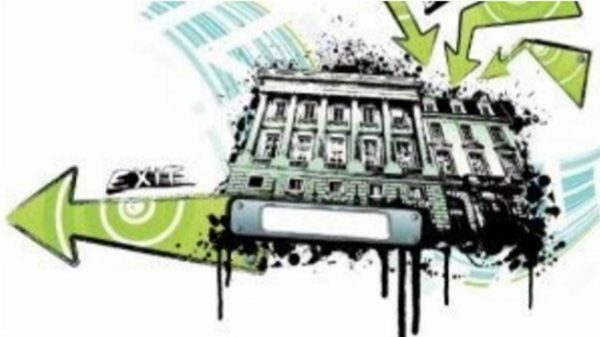 He has taught a range of subjects but predominantly IB Diploma Programme economics. 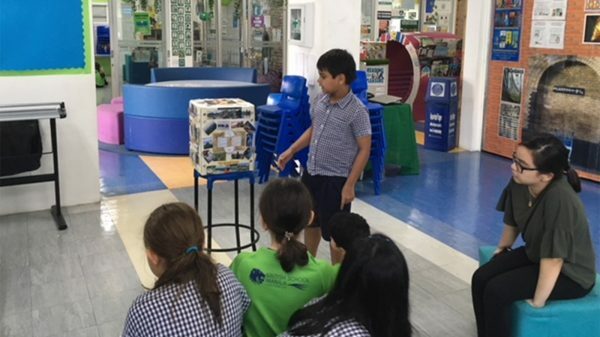 He has taught in international schools in Kuwait, Sudan, Cambodia and China for the last 30 years. 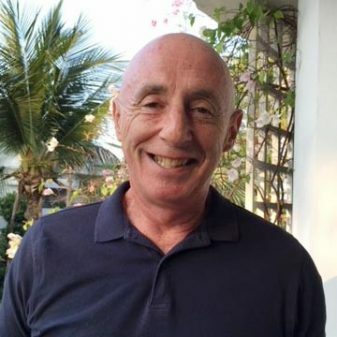 Mick has now retired and splits his time between Hua Hin, Thailand and Melbourne.